Thomas E. McHugh, who completed his term on the West Virginia Supreme Court of Appeals at the end of 2012, has joined Bowles Rice LLP in an Of Counsel capacity. In making the announcement, Tom Heywood, Managing Partner of Bowles Rice, said, "We are absolutely delighted that a Justice and lawyer of Tom McHugh's stature, experience and ability has chosen to affiliate with Bowles Rice. Justice McHugh will enhance our ability to serve clients throughout the state, region and nation, and he also will help us contribute to the vitality of our communities and profession." Justice McHugh was elected to the Supreme Court in 1980 and re-elected to a second 12-year term in 1992. He served as Chief Justice in 1984, 1988, 1992, 1995 and 1996. After his retirement in 1997, he entered private practice in Charleston, West Virginia. In September 2008, during the illness of Justice Joseph Albright, he was appointed by the Chief Justice of the West Virginia Supreme Court of Appeals, to serve as a Senior Status Justice. Following Justice Albright's death in 2009, Governor Joe Manchin appointed Justice McHugh to the Supreme Court, to serve until the 2010 general election. In November 2010, he was elected to complete Justice Albright's 12-year term, which ends in 2012. 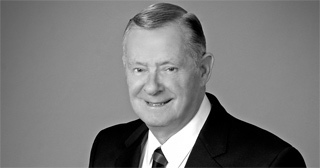 Justice McHugh is a 1958 graduate of West Virginia University and a 1964 graduate of West Virginia University College of Law, where he was a member of Order of the Coif, a legal honorary, and was associate editor of the West Virginia Law Review. In 1974, he was elected Judge in the Circuit Court of Kanawha County and re-elected in 1976. He served as chief circuit judge from 1974 to 1980. Justice McHugh is a recipient of many awards and recognition for his service, including the Distinguished West Virginia Award and a 1996 Special Award of Achievement in the Administration of Justice from The West Virginia State Bar. He is a West Virginia Foundation Fellow and Emeritus Member of Judge John A. Field, Jr., American Inns of Court. He is Chairman of the Board of Trustees of Thomas Health System and a Director Emeritus of the Children's Home Society of West Virginia. Bowles Rice is a regional, full-service law firm with more than 130 attorneys and eight offices, located in Charleston, Martinsburg, Morgantown, Moundsville and Parkersburg, West Virginia; Southpointe, Pennsylvania; Lexington, Kentucky; and Winchester, Virginia.